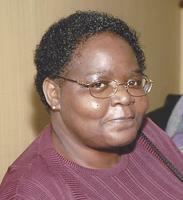 Provide comfort for the family of Annette Mack with a meaningful gesture of sympathy. Provide comfort for the family of Annette Francis Mack by sending flowers. To the Family You have my deepest sympathy for your loss. May God provide you with comfort during this grievous time. Be assured that one day soon God will do away with death forever. 1 Corinthians 15:26. Although I only spoke with Annette on the phone and via Facebook, she felt like a Sister to me. Keeping your family covered in prayer as you Celebrate Annette's life!! !